Roasting a cauliflower whole is so easy but so so delicious. Taking it to a new level with a flavorful crust makes it better than ever. 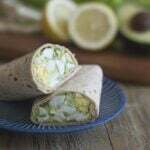 Get this easy recipe here. If something is really easy to make and really really delicious, I end up obsessed. 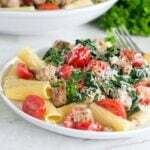 I’ll make it over and over again trying different variations, perfecting it and making it part of my usual cooking repertoire. Such is the case with whole roasted cauliflower. I showed you how easy and delicious it is to roast a cauliflower whole over here. Since then, I’ve made it tons of times, just plain like that one, plain with a beer cheese dip on the side, with all kinds of different seasonings and now, today, with a Parmesan mustard crust. 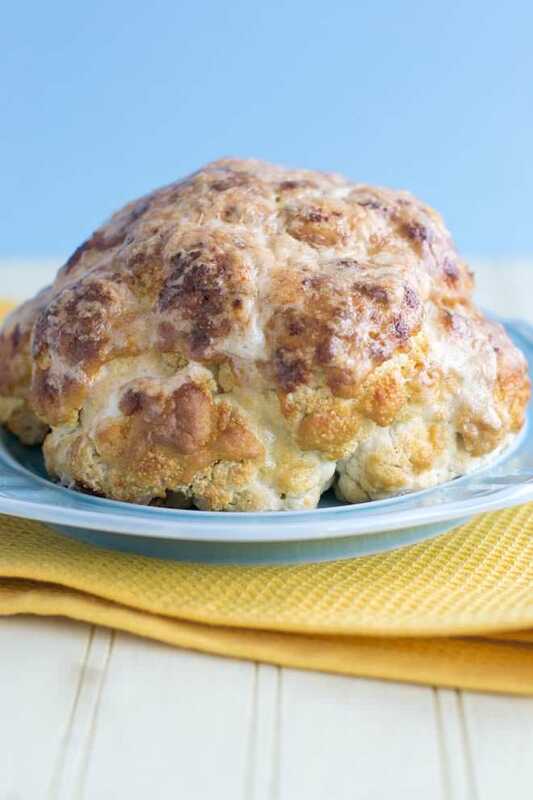 To make this one, you smear a whole head of cauliflower with olive oil and Dijon mustard and then bake it until the mustard has browned, almost an hour. While it cooks, you mix together some Parmesan cheese and an egg white. Drizzle that all over the head and then bake some more until the coating has set. 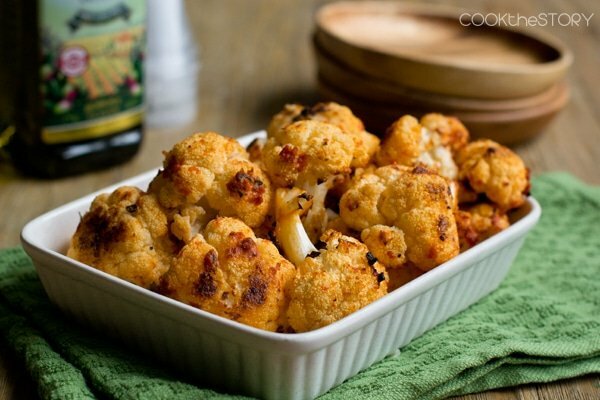 The cauliflower ends up soft and buttery inside with this amazingly flavorful caramelized coating on the outside. I take the cauliflower whole to the table. It’s a bit of a showstopper in it’s bumby brown glory. 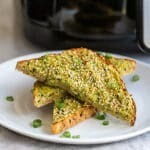 Cut it into wedges to serve. Enjoy! Preheat oven to 400ºF. Rub a pie plate with 1 teaspoon of the olive oil. In a small bowl combine the Dijon and olive oil. Remove leaves and core from cauliflower as described here. Set the cauliflower core-side-down in the pie plate. Smear the Dijon mixture all over the head. Sprinkle with the salt. Roast until starting to brown on the outside and a skewer inserted into the head goes in easily, 50-60 minutes. 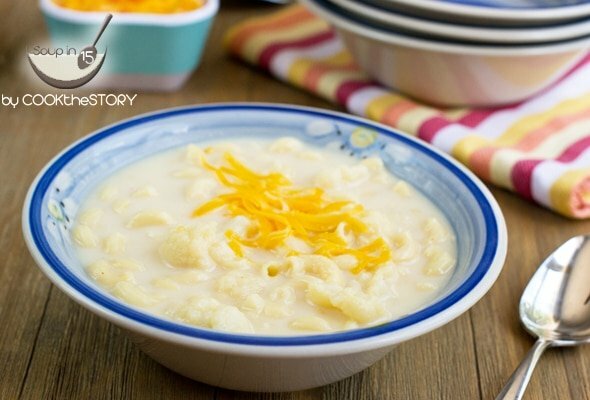 Meanwhile, in a small bowl combine the Parmesan cheese, egg white and water. 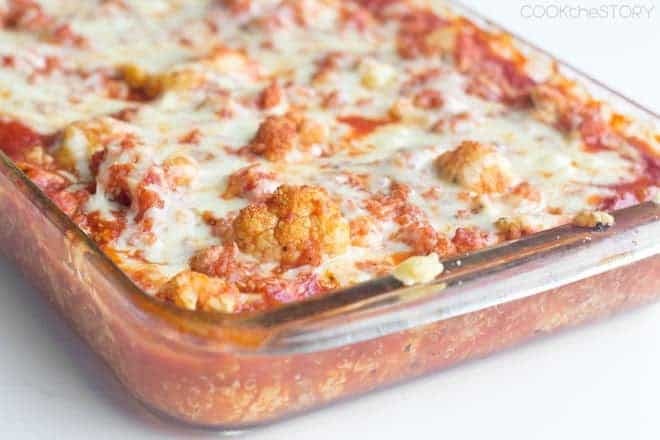 When the cauliflower is cooked, carefully drizzle 1 tablespoon of the Parmesan mixture at a time over it, letting it drip and solidify onto the hot surface of the vegetable. 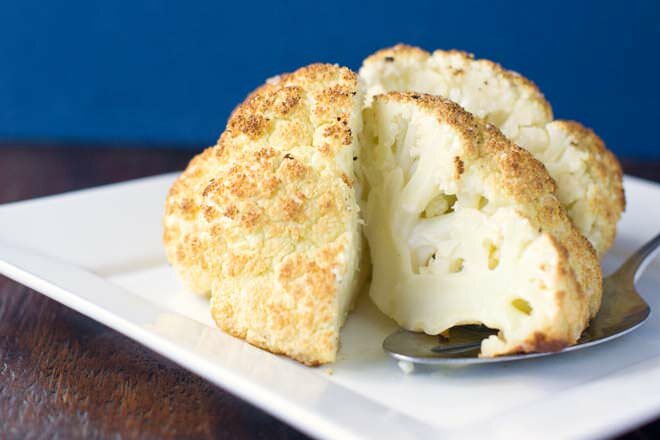 Return cauliflower to the oven and roast until egg is set and browned, 10-15 more minutes. Take to the table whole, cut into wedges and use a cake server to serve it. Ok, I was looking for a side dish to make for an upcoming lasagne dinner to which I’ve been invited. And, this is it! 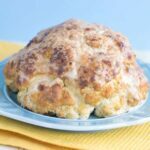 Will the inside of the cauliflower be flavorful enough? Is any water needed in the bottom of the roasting pan?